The 2003 2.4-litre diesel three-berth unit has 240,000km on the clock and a complete service history record from new. Access to the home is through a double sliding door on the passenger’s side and two separately opening doors at the rear. A rotating passenger seat in the driving compartment allows access to the accommodation. The Transit can sleep three. A double bed is situated directly opposite the sliding door and a single bunk is lowered from the wall above the double bed. The internal appliances include a two-burner gas hob and grill, a three-way, 60-litre fridge, a shower/toilet (electric flush), a fully pressurised water system, and hot water from a 15-litre gas-fired tank. Fresh water capacity is set at 80 litres and the complete home is heated by a thermostatically controlled gas heater. Gas comes from a 4.5kg cylinder, and, as well as from the gas appliances, power comes from a 12-volt battery system supported by a 240-volt input cable. This particular Transit has an automatic gearbox which, along with the cab’s air conditioning, good visibility and power assisted-steering, all add up to a pleasurable driving experience. The total dimensions of the Ford Transit are 5.5m long, 2.7m high, 1.97m wide, allowing for 1.9m of head room. The vehicle is fitted with three seat belts, with two in the cab and one in the home. 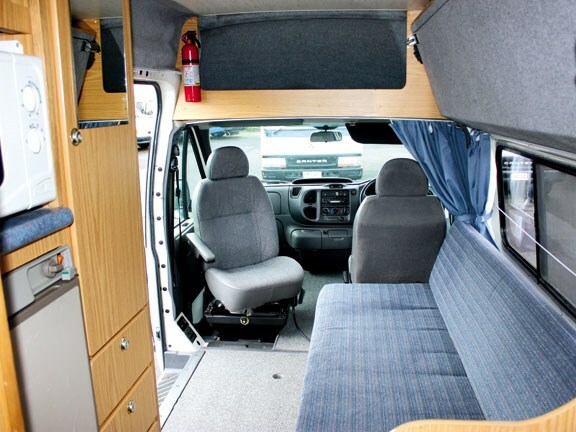 The Transit is certified for free camping, is fitted with new carpets, all of the privacy curtains are in good condition, and a two-stand removable table is used to form the floor-mounted double bed. External appearance is very tidy, with the Transit sporting wheel trims and a decorative stripe. The $36,000 price tag includes an awning that can be fitted if required. If the buyer does not want the awning, a price correction of $1350 will be adjusted downwards. This price also includes a 12-month mechanical warranty, a 36-month home warranty, a full 4.5kg gas bottle, a minimum of 3000 kilometres RUC, a current electrical warrant, six-month registration, a new WOF and a full diesel tank. 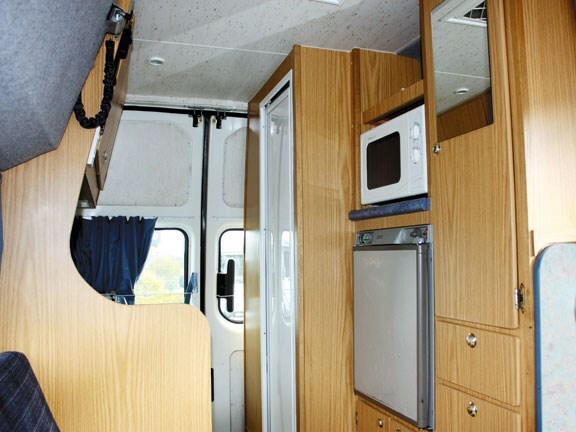 There are no obvious rattles on the road and the motorhome has plenty of power. 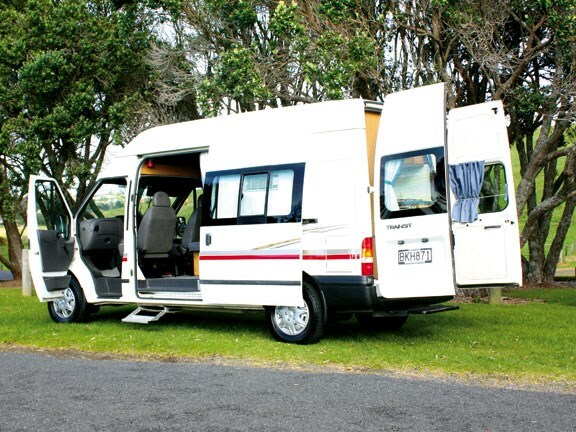 Leisure Vehicles in Albany is the North Island agent for Pacific Horizon seconds motorhomes, which originate out of Christchurch.